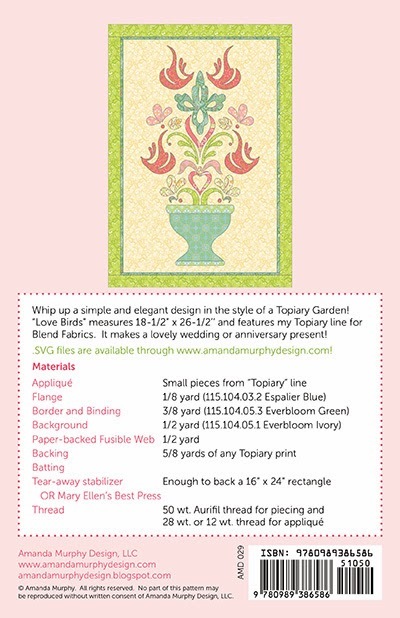 "LoveBirds" is my second new pattern featuring my newest line of fabric for Blend Fabrics - "Topiary". 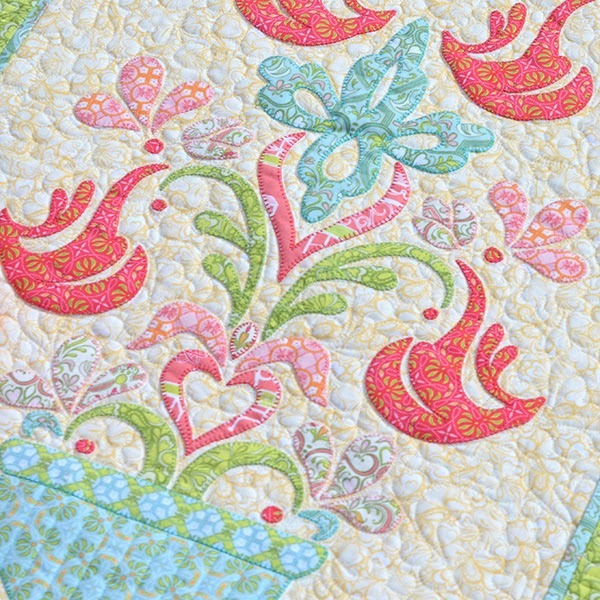 I used Warm and Natural batting and Aurifil thread - 28 weight for the appliqué and 50 weight for the piecing and quilting. 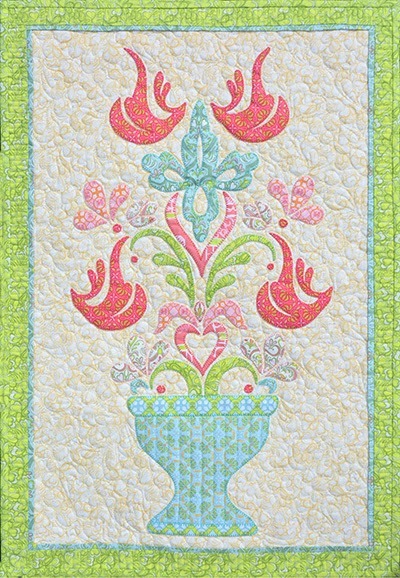 It is 18-1/2" x 26-1/2" and would make a great anniversary or wedding gift! The patterns will be back in a couple of weeks. I hope you like them! 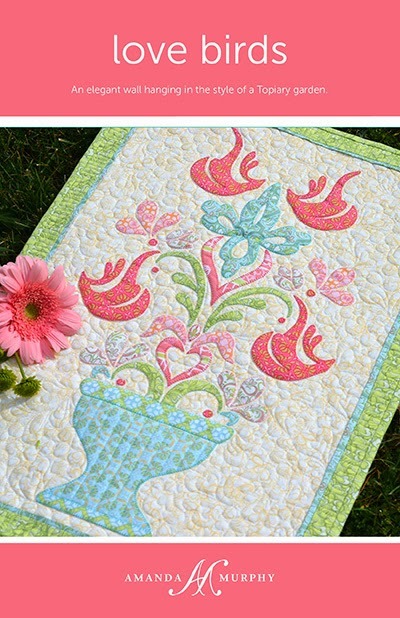 Oh my goodness, what's not to like! 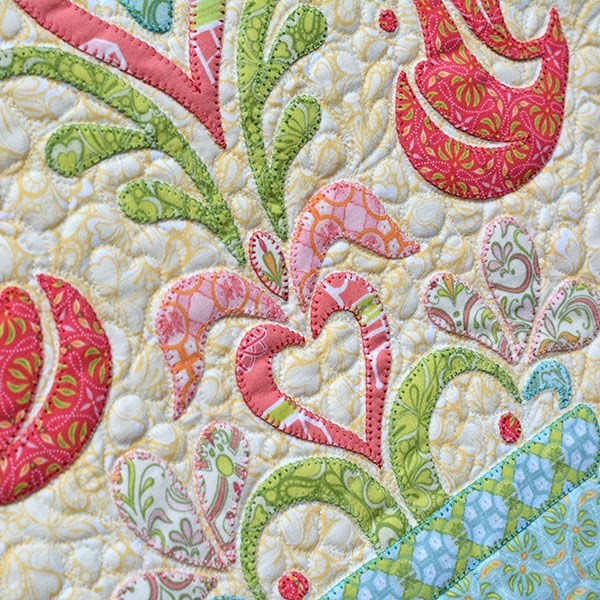 Your patterns and fabric are always so happy!